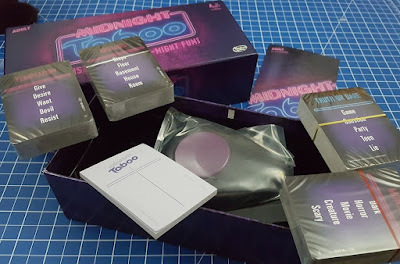 Inside the box are an egg timer, score pad, 4 packs of Midnight Taboo cards and a battery operated buzzer (2 x AA not included). We actually played mainly while the kids were in bed, and although the buzzer isn't horrendously loud, we didn't use it a lot. The aim of the game is to work as a team to guess a target word on each card. The active team member must explain the word on the card to their team-mates, without mentioning any of the other words shown below the line. 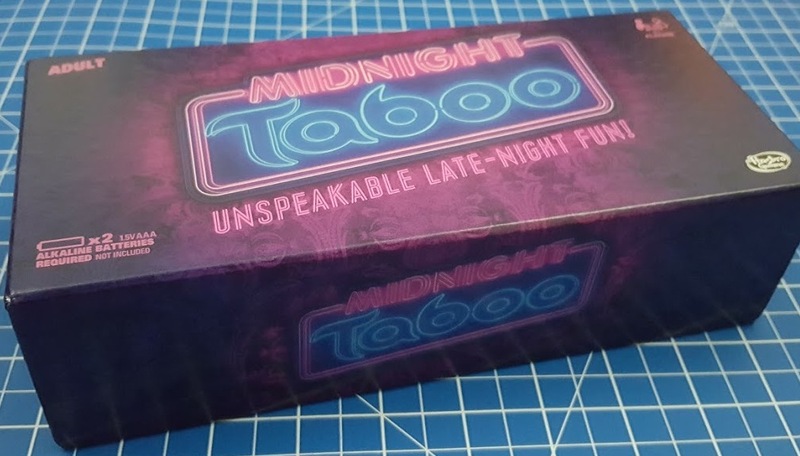 Unlike regular Taboo, Midnight Taboo contains a lot of quite racy words, and adult themes feature throughout. 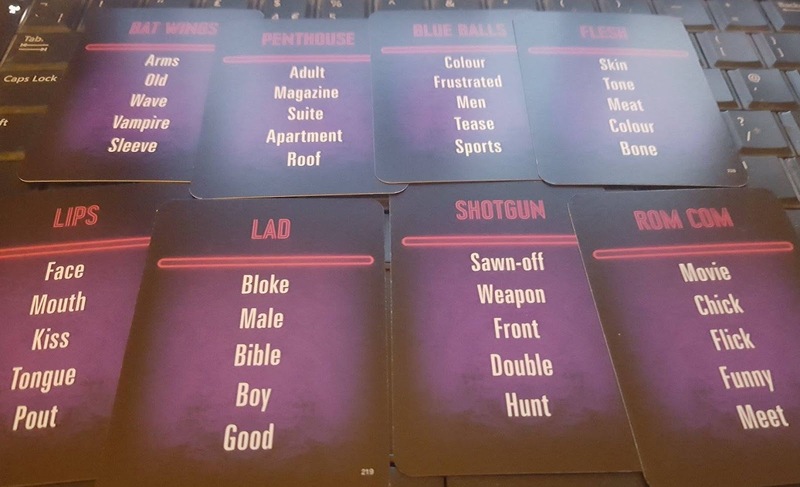 We actually decided we didn't really want to play this one with the teenagers, I think it's definitely best suited to groups of friends, rather than family, and is ideal for older teenage and Uni parties. It could be a bit awkward describing some of these in front of your own children or parents! Each active player gets the full length of the Timer to describe, starting with the top card in the pack and moving on to as many as they have time for. One of the opposing team holds the buzzer and buzzes whenever a banned word is said! Each target word guessed correctly earns the team a point. All of the cards (and there are hundreds) are double-sided, so you can remember where you were and continue where you left off, or swap to the other colour to keep the game fresh. Midnight Taboo is a lot of fun. We really enjoyed playing it, it's very funny and the addition of the more adult themes and embarrassment factor really just makes it funnier. Ideally you need at least 4 players, the more the merrier, plus alcohol and snacks. This really is a perfect game for a group of students or young people, or for a games night party. 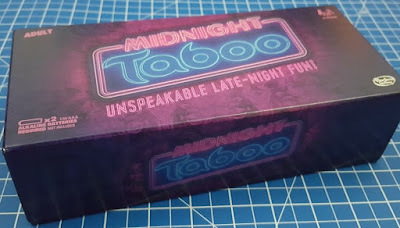 We were sent our copy of Midnight Taboo for review. hehehe! This looks and sounds like fantastic fun!